Meet John Wagner's crabby Maxine. 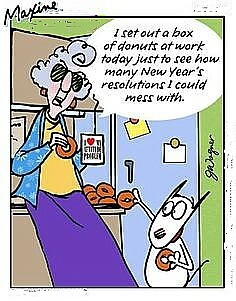 Tis the season for New Year's resolutions. 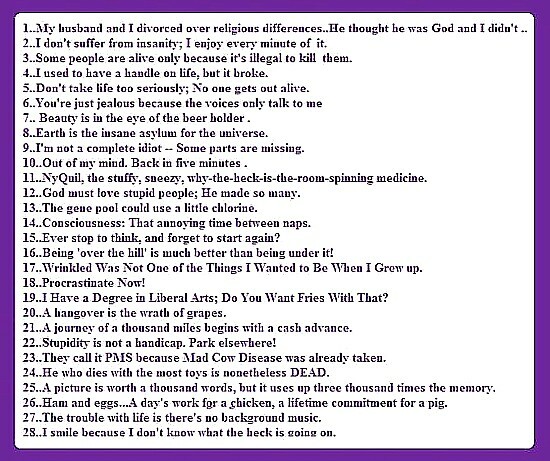 I'm as guilty as anyone of making and breaking such promises to myself. This year, my New Year's resolution is to write less and paint more. That is, starting today, Monday, January 1, 2018, I'll be posting new items here only once a week on Mondays. 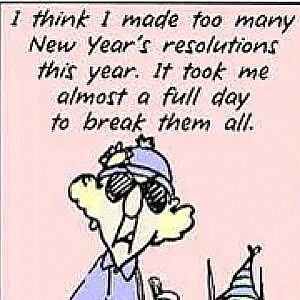 For once, that's a resolution I think I can keep. I've made that decision with the advice and consent of a friend of my wife's, John Wagner's Maxine. She's my spouse's favorite cartoon character, probably because they have so much in common. They're even starting to look alike. Don't worry, it's safe to say that--my wife never reads what I write. She thinks I only write about art. Of course, today, momentous as it is, I continue writing about art, just not as often. Today we take a look at Hallmark Greetings' favorite artist, John Wagner--not to be confused with the British writer by the same name who write's (but does not draw) the adventures of Judge Dredd. 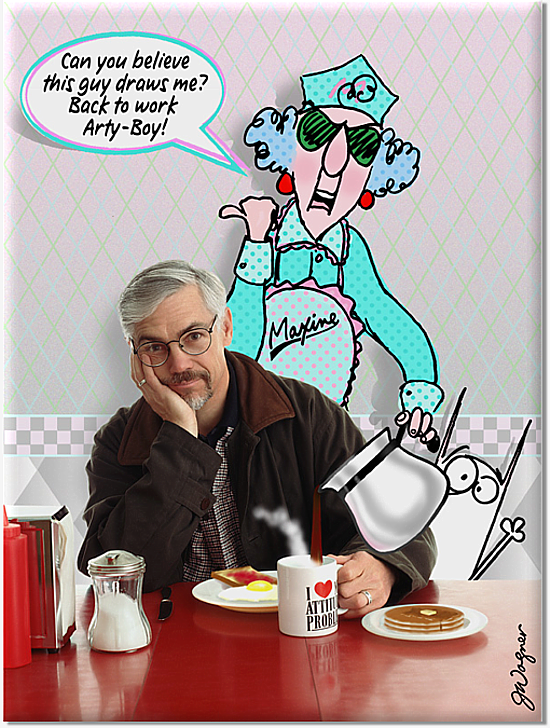 Meet John Wagner, Maxine's creator, whom she refers to as "Arty-Boy." 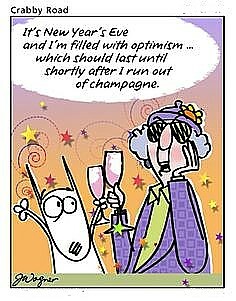 Maxine takes on any issue fearlessly, from New Year's resolutions, to work and driving. “How long will my New Year's, resolutions last? Got a stop-watch?” and, “I’m willing to put in longer hours at work, as long as they’re lunch hours,” and “Caffeine is for people who feel they aren’t irritable enough on their own,” are a few examples of John Wagner’s clever sense of humor through Maxine. 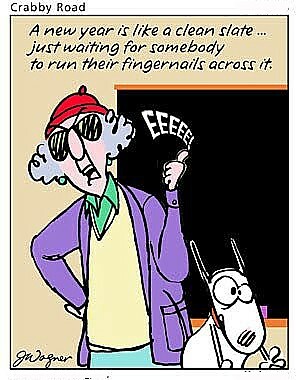 Wag-ner created Maxine in 1986 as a new character line for Hallmark's Shoebox Greet-ings™ card division. He came up with a brazen older woman with a stooped back, a mop of curly gray hair, and most of all an abrasive personality little short of sandpaper. He patterned her after his mother, grandmother, and an unmarried aunt, who provide inspiration for his comic creation. John Wagner has always been a cartoonist at heart, even as a young child. He remembers doodling as a preschooler. As he got older, Wagner was encouraged by his mother and grandmother to be artistic. His grandmother bought him art lessons when his skills developed beyond grade school art classes. Later, he attended the Vesper George School of Art in Boston, Massachusetts, then began work as part of a new Hallmark artists’ group following graduation. (The Vesper George School of Art closed in 1983.) Since her inception some thirty years ago, Maxine has become a bit of a celebrity. She (and John) have been the subject of media stories, including People, USA Today, Good Morning Amer-ica, The Wall Street Journal, St. Petersburg (Florida) Times, and Las Vegas Journal-Review, and they have been included in a major Associated Press story. It was the birth of the humorous Shoebox Greetings (a tiny little division of Hallmark) in 1986 that added a new dimension to John's professional life. The Shoebox way of seeing the world unleashed the talents, of John Wagner, spurring the creation of Maxine. She took on an individuality of her own, taking sheer delight in making high-spirited, crabby remarks about almost everything. 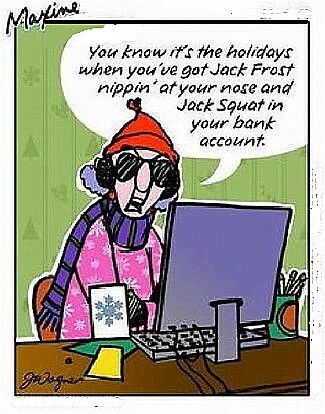 Though she was truly funny, the character had the staff at Hallmark™ concerned. A spokeswoman for the company noted that, when Maxine first came out, they were worried that older people might be offended. It turned out to be just the opposite; they loved her. 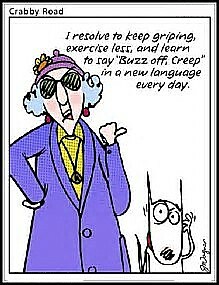 Some of Wagner's worldly wise wit and witticisms of Maxine (no last name). Wagner points out that, "Cartoonists are sensitive to the insanities of the world while trying to humanize them. 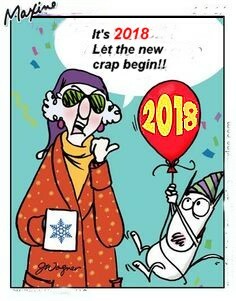 If Maxine can get a laugh out of someone who feels lonely or someone who is getting older and hates the thought of another birthday, or if she can make someone chuckle about stressful interpersonal relationships, then I'm happy. Putting a smile on someone's face is what it's all about." 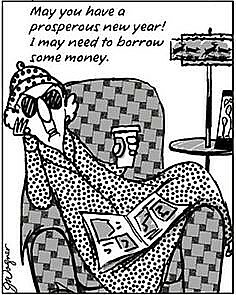 The character was so popular with card-buying customers that Maxine jumped from greeting cards into comics syndication in the 1990s through Universal Press Syndicate, a first in cartooning. It’s usually the other way around, the comic first and then the greeting cards. The strip, titled Crabby Road, was soon published in over 100 newspapers across the United States. It was withdrawn in 2002. Though no longer in syndication, fans can still chuckle at the character’s acidic wit, now featured in five books of cartoons.